Since it's getting warmer and I only have to go to school 3 times a week (student life's good HAHA), I am really getting so lazy with getting ready. I've always used a thick eyeliner with L'Oreal Super Liner Ultra Precision or MAC's Blacktrack Fluidline on my 'too-many-folds-in-my-eyelids'. Oh please I don't know to to explain. My eyelids aren't perfect: they have extra little folds into them. I've always felt if I draw a thin eye line it's never really noticeable so that's why I thought a thick line is more noticeable and matches my eyes well. But since I'm lazy, it's getting warmer and I'm struggling with acne I just want minimalistic make up for a natural, minimalistic and easy to remove feel. 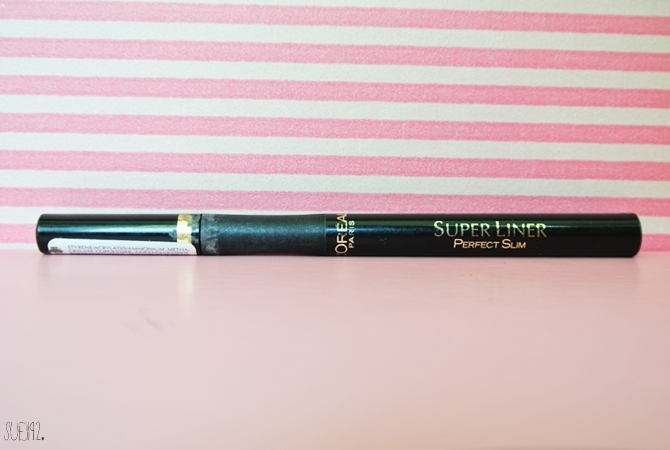 So I've been trying the L'Oreal Super Liner Perfect slim for weeks. 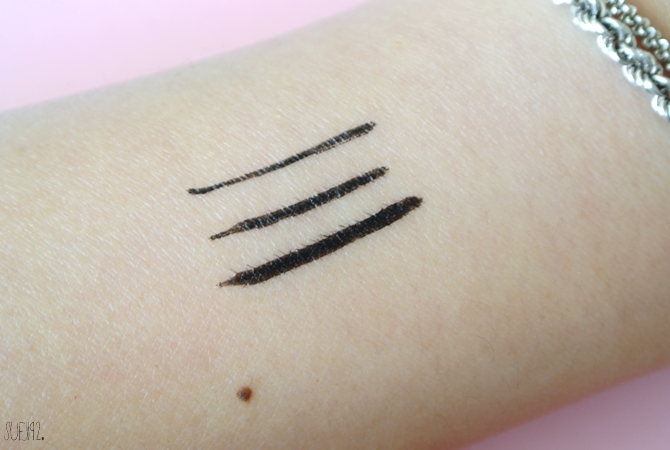 It's a liquid pen eyeliner with a tip of (what they claim) a 4mm precision. 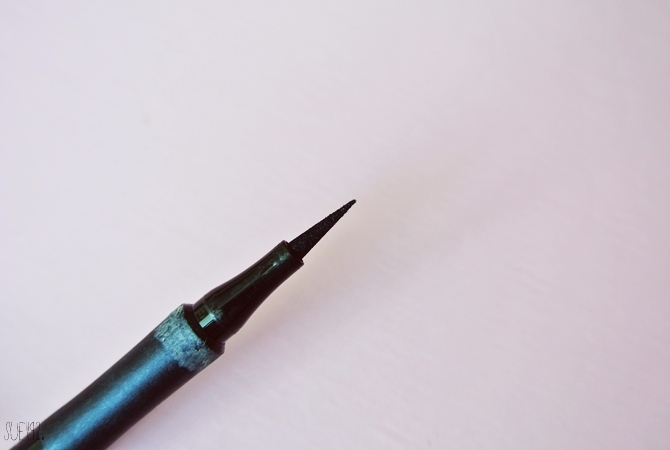 This eye liner pen is just really easy to use, because it's a pen and you don't have to use a additional brush or dip it back in the liquid. Also because of the very thin brush it's easy to draw a very thin or think line and the wing. What I also really love is that this eye liner pen is really black! Even more black than the Ultra Precision one, which I found that the colour may be darker. The Perfect Slim's brush is really dense, which it's easy to use the side of the brush to literally create a line. And then I would use the tip to create the wing. The downfall is that it does smear on my lower lash line, even the eyeliner does lasts for the whole day.